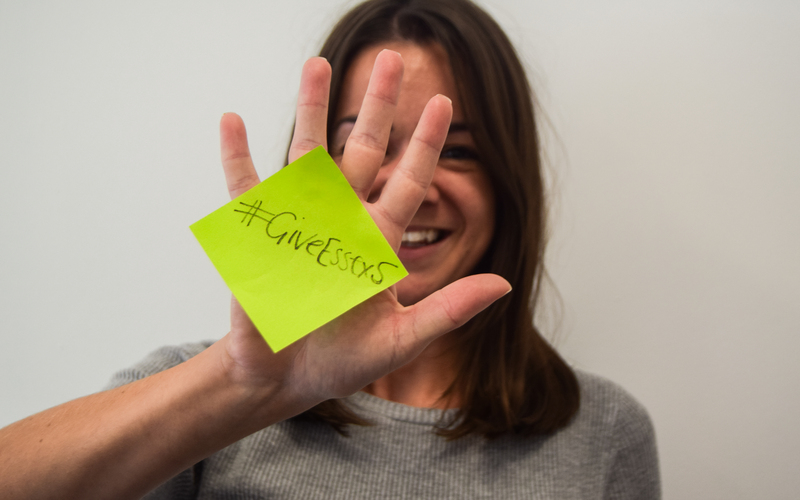 #GiveEssex5 is the Giving Tuesday Campaign at the University of Essex! This will be the third time University of Essex has participated in #GivingTuesday and we are having a range of activities (both on and offline) planned for the day. Essex is built on Philanthropy and we are passionate about using #GivingTuesday to raise awareness of our work and encourage our community to share in it. All money we raise on the day will go to supporting big ideas and exciting project on Click – the Essex crowdfunding platform. The professional stilts-walkers from East 15 Theatre Company StiltsPro will be joining us on the day to perform on the squares. Don’t miss them! Find our #GiveEssex5 collection buckets at Main University Reception, SU Reception, Extra store, Campus shop, Gym, car park pay stations, staff kitchens and departmental common rooms and leave any spare change. 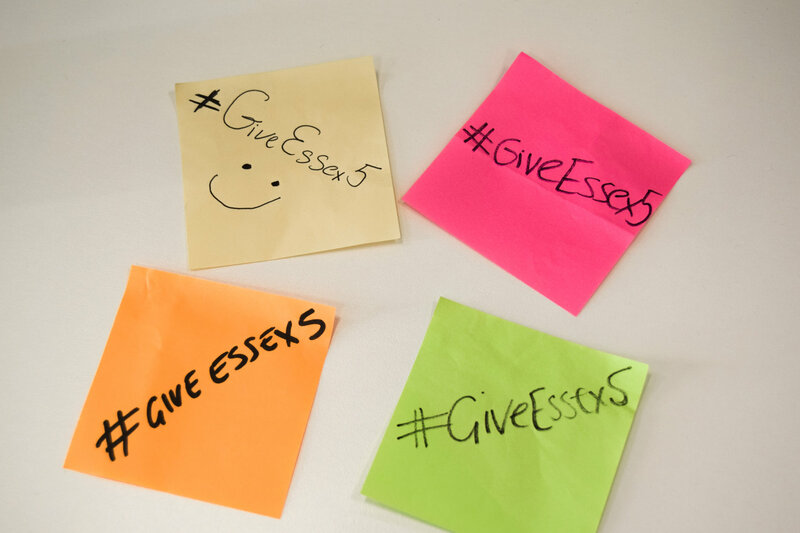 Write #GiveEssex5 on your hand or on a sticky note and share it on Twitter using the #GiveEssex5 hashtag. For every picture we will give £1. Now once you have that brilliant shot of you, why not change your profile picture on Facebook just for the day? This would help us increase awareness about the campaign by 500%. Imagine what will happen if all of us do the same? Tell all your friends, family, teachers, classmates, colleagues and peers about the campaign – write them on Facebook, send them an email or simply mention #GiveEssex5 during your next phone call. You know that guy from your class that has never heard about #GivingTuesday – go and tell him the story that you have just read. Help us spread the love! We are really grateful for your support and contribution. A follow up post will be coming up soon to tell you how did the campaign go and how many projects we managed to support on Click. Email thankyou@essex.ac.uk for any enquiries. Follow @Uni_EssexClick to follow all activities on the day.